The Internal Revenue Service (IRS) recently released Revenue Procedure 2016-47, which spells out some important new guidelines regarding rollovers into IRAs or other tax-qualified plans, specifically exceptions to the 60-day deadline for completing the rollover. In general, tax-free rollovers from a retirement account mandate that the funds must be deposited in a qualified account within 60 days after the person receives them. 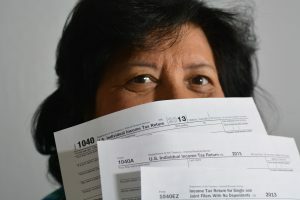 Previously, the only exceptions granted required a person to request, directly from the IRS, a letter indicating the deadline was missed for reasons outside the person’s control and granting an extension. The IRS cannot have previously denied a request for waiver of the 60-day deadline with respect to a rollover of all or part of the same distribution. (k) the bank or other organization that made the distribution that is being rolled over failed to timely provide information required by the intended recipient of the rollover (the IRA or employer’s plan) in order to complete the rollover, even though the taxpayer made all reasonable efforts to have the information provided. All certifications must be made in writing. The Revenue Procedure includes a model certification letter that may be used verbatim. The taxpayer should keep a copy of the certification in case an audit or other inquiry is required. The new ruling went into effect as of August 24, 2016.